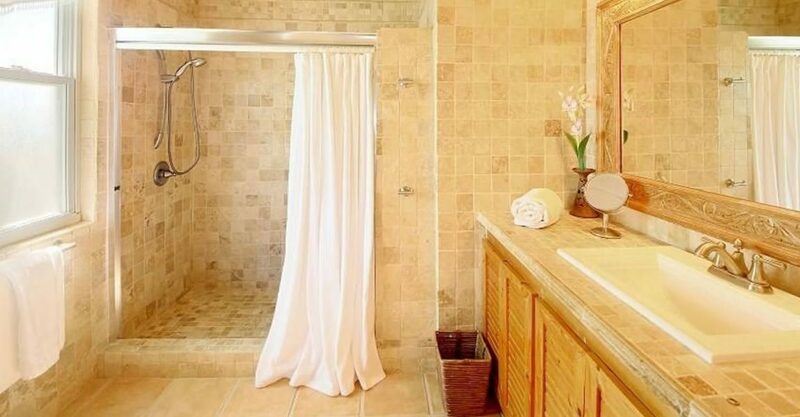 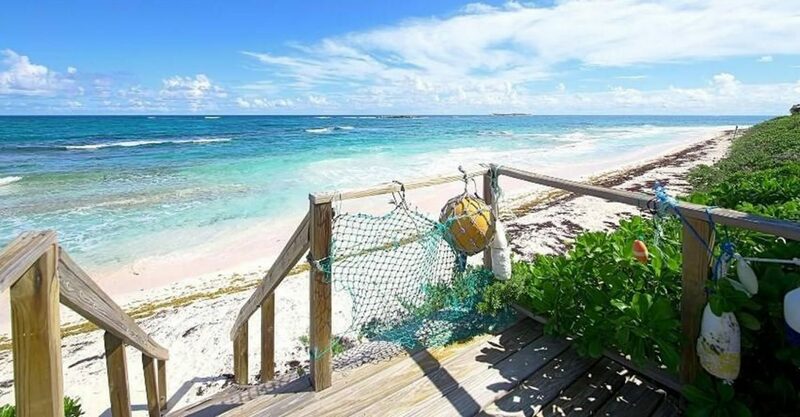 Searching for beachfront homes for sale in The Bahamas offering outstanding views? 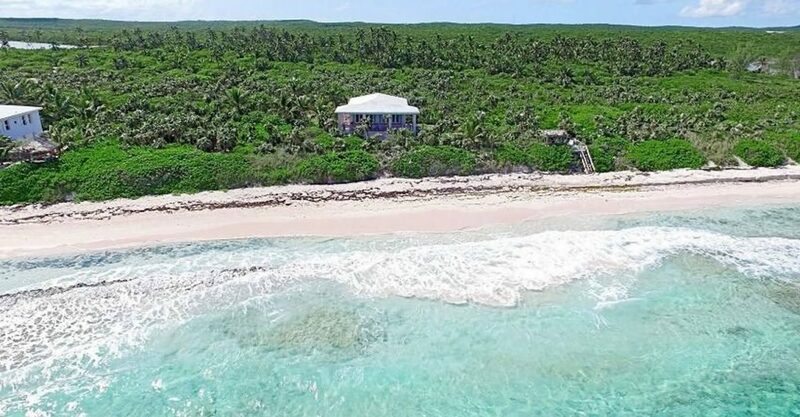 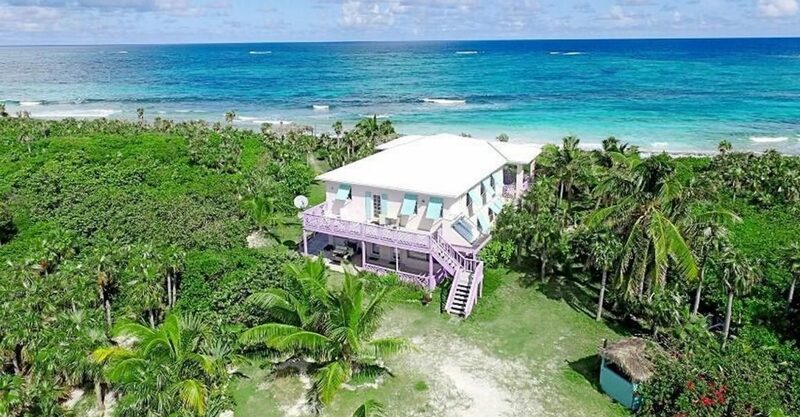 This gorgeous beach house is beautifully perched on an elevated bluff overlooking the Atlantic Ocean just steps from an incredible pink sand beach at Double Bay, Savannah Sound in Eleuthera in The Bahamas. 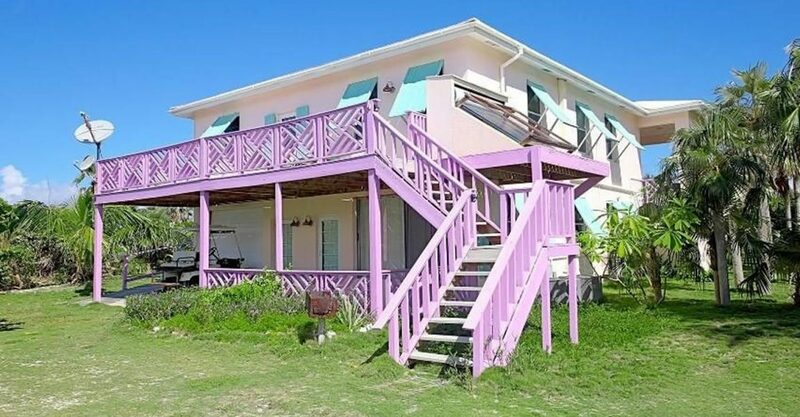 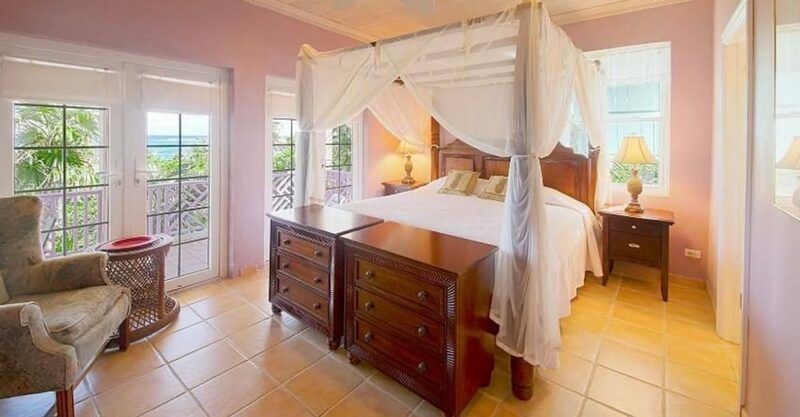 The property offers stunning views of the blue waters of the ocean and 2 cays (small islands) which lie just off shore. 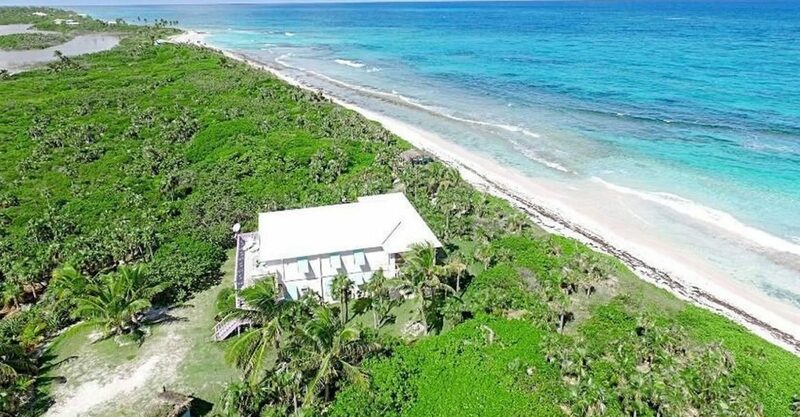 Sitting on over an acre of land filled with palm trees and native flowers along 126 feet (38 meters) of stunning beachfront, the house offers luxury, privacy and comfort. 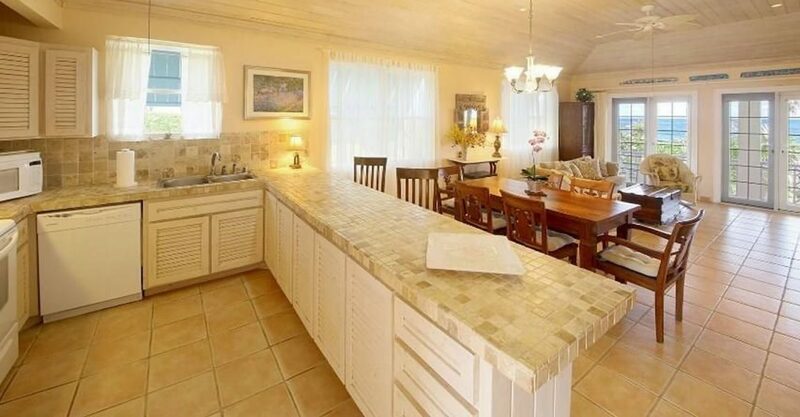 The main upper level features a spacious great room with an open floor plan that is warm and welcoming and includes a well equipped modern kitchen – perfect for entertaining friends and family. 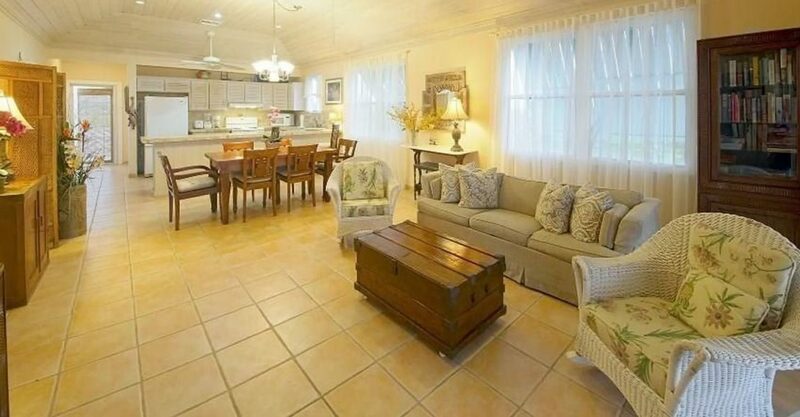 There are 2 good sized bedroom suites off the great room and a large efficiency suite on the ground level. 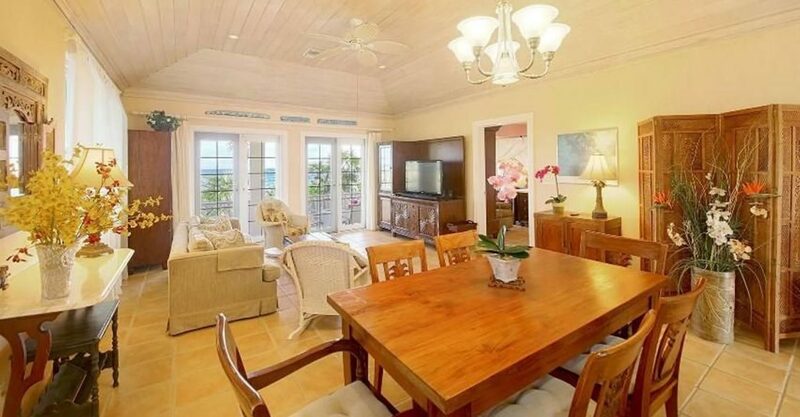 The covered porch provides plenty of space for relaxing outside while benefiting from cooling ocean breezes. 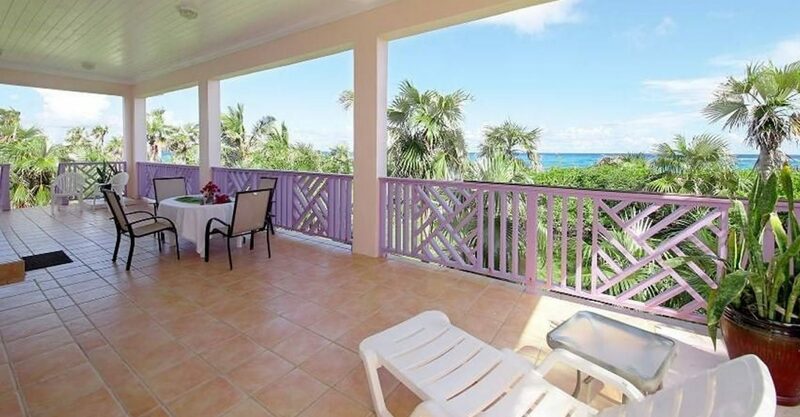 The entrance deck offers amazing sunset views and sunny afternoons amid the tropical gardens. 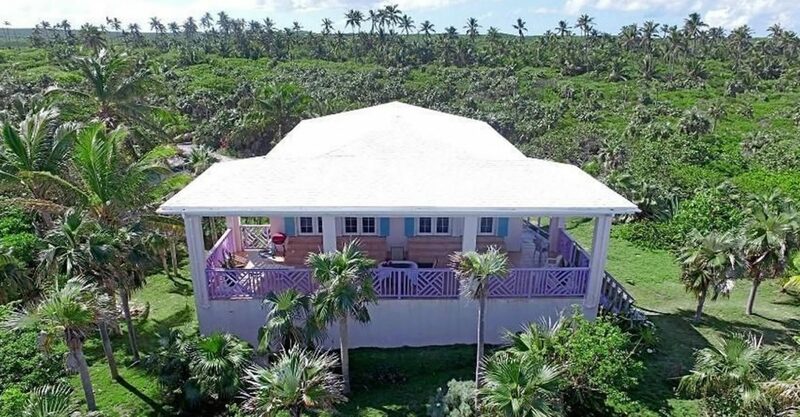 The house is being offered fully furnished and equipped with central air conditioning, large cisterns and a 12KW generator.